Want to work for our team? Click here to apply now! Neat, clean and tidy attire. Shirts, dress shorts or tailored pants are examples of appropriate items of attire. Friday & Saturday night after 10pm no hats, thongs, hoodies, singlets, tracksuits, beanies, or high visibility or dirty work wear are acceptable. DRESS REGULATIONS ARE SUBJECT TO CHANGE AT ANYTIME. We love our Fiddler Members! Enjoy daily members only happy hours, monthly food & beverage rewards, earn points to receive discounts and be first to know whats on in our venue! 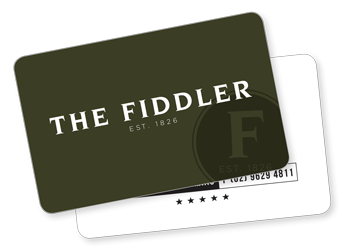 Sign up for free in the VIP Lounge and start reaping The Fiddler rewards.